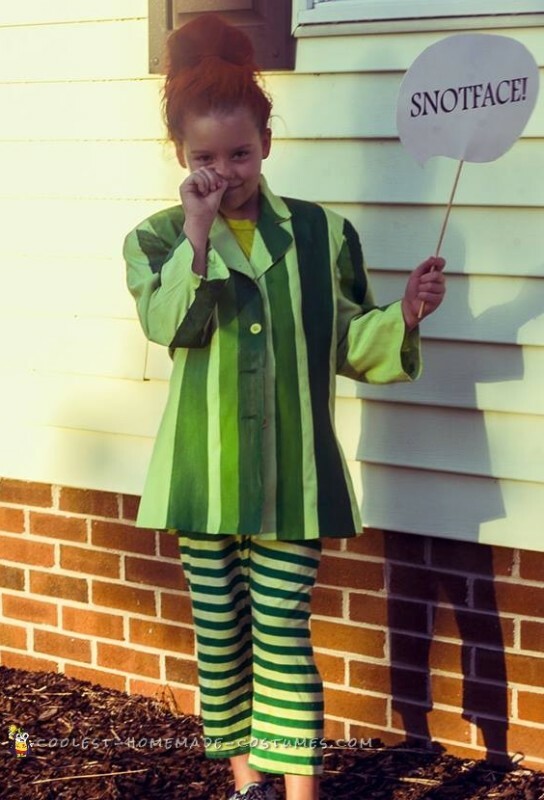 My daughter changed her mind last minute and I had 18 hours to get her a Drop Dead Fred costume together. 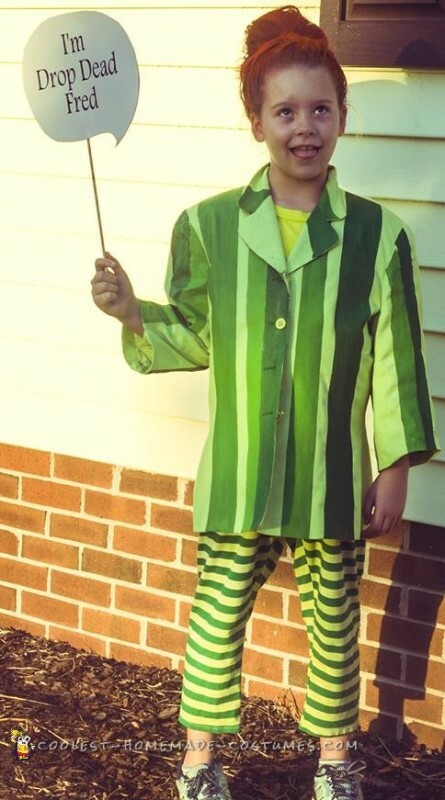 To those not familiar, Drop Dead Fred is a character from a 90’s movie about an imaginary friend who is completely out of control. My daughter is obsessed with the movie. I started my search at thrift stores. I got lucky after the 6th store, finding a green blazer jacket with shoulder pads. The ones without did not look right since she is so small. Therefore, the pads made it fit her better. 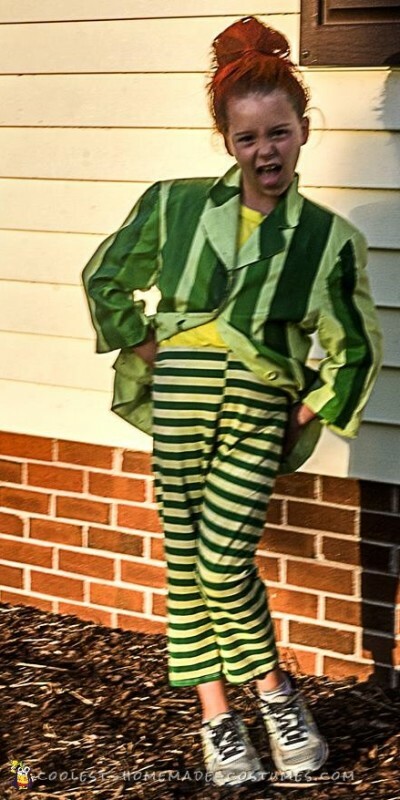 I then started my search for either green pants or white to dye green, and a yellow shirt. I failed finding either for some reason. Instead, I got a white tank top and yellow dye. I knew she had white leggings home. The blazers arms were too long so I used hem tape to make shorter for her. I used painters tape to mark of stripes. I took acrylic paint I already had and mixed different greens and yellows for stripes. Used poster board and a wooden rod to make a sign to help people know who she was. For her hair (since hers is so long), we did a messy bun and sprayed red and then hit it with orange to give that redheaded look Fred had. Only a few teachers knew who she was, but she did not care. She rocked the outfit and the attitude, even calling others “snotface” all day. We got a huge response online on Facebook and Instagram.